A powerful explosion has rocked a building in the Belgian town of Verviers, almost completely destroying its facade, local media reports. Authorities will now demolish the structure. At least 14 people have suffered as a result of the explosion. Witnesses have posted numerous photos on Twitter, which showed three floors of the building had been damaged. Some users suggested there might have been a gas explosion. A demolition company was called in to clear out the damaged house, said Muriel Targnion, the mayor of Verviers. "The house, to the left of the disaster, will also be destroyed. For the other three neighboring houses, further stability studies should be conducted," he added. At least 14 people have been injured in the incident, the RTL TV channel reported. Targnion also added that only one of the 14 victims who had been hospitalized after the explosion spent the night in hospital. The cause of the accident remains to be determined but according to prosecutors, it was likely caused by the gas explosion. 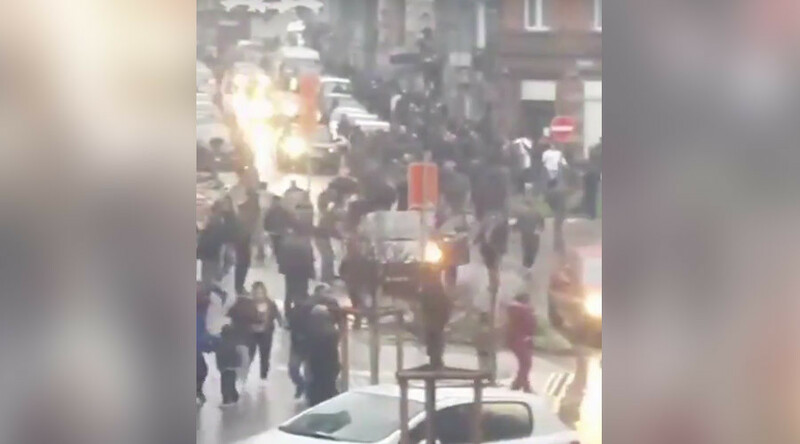 Verviers, a town of about 55,000 people, has recently appeared in the headlines in connection with the mastermind of the Paris terror attacks in November. Abdelhamid Abaaoud was one of the leaders of a terrorist cell in the town. During a raid on the cell in January 2015, two of its members were killed. Abaaoud himself was killed during anti-terrorist raids in the Paris suburb of Saint-Denis in November.